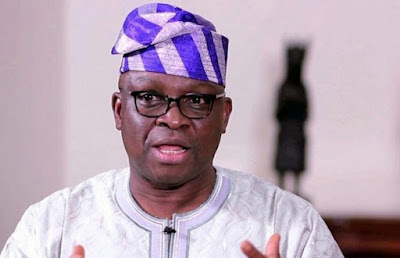 As part of activities marking his third year in office, Ekiti State Governor, Chief Ayodele Fayose, has given jobs to 51 physically challenged persons in the state. He also directed that additional 100 persons from among them be enlisted in the state’s social security scheme. Among those given jobs is a university graduate. He gave the directives in Ado-Ekiti on Tuesday evening while meeting with the group. Mr Gboyega Afolabi, a University graduate was offered automatic employment at the Ekiti State University, Ado-Ekiti. A statement by the governor’s Chief Press Secretary, Mr Idowu Adelusi, quoted the governor as directing the Vice Chancellor of EKSU to give Afolabi the job. Afolabi is about concluding his mandatory one year National Youth Service Corps Scheme in the institution. While reacting to the development, Afolabi described the governor as God sent to Ekiti. “He is a peculiar person and kind hearted. He loves the people and he is very approachable. I never imagined that this great opportunity can come my way just like that. Governor Fayose is the leader we need in this country. “I appeal to the people of the state to vote in somebody from the Fayose political family for these great works to continue. He is truly a leader and lover of the people,” he said. He was among those who met the governor and only approached him about his plight during the meeting. Meanwhile, the governor has also donated one million naira for the medical expenses of people with disabilities. He has also directed the Chief Medical Director of the Ekiti State University Teaching Hospital to assess the health needs of the people and brief him.